It seems like yesterday when I first started with SEO but actually I already made a whole decade in it. A decade is a pretty long period of time and even though things change, there are some lessons I've learned that pass the test of time. Here are some of these lessons &dash; some of them were learned the hard way (which probably makes them even more valuable), while others are just positive experiences that have helped me become a better SEO expert. This wasn't the first thing I learned but it is certainly one of the most important. In SEO, like in many other areas of life, there is no guarantee &dash; ever. No matter what miracles you do, you can't guarantee top positions, especially not over time. The reasons are complex &dash; such as algorithms change, competitors attack, or simply your content gets old but the consequences are always the same &dash; you can never guarantee your rankings. The second most important lesson is that SEO is definitely not a get-rich-quick scheme. In order to see results, in addition to skills, you need a lot of hard work and patience (and lots of time, too) and yet results might never come. It isn't only SEO where you can find toxic clients but in SEO with its unpredictable nature such clients are even a bigger nightmare. Clients who are not familiar with the specifics of SEO and who want impossible things, like guaranteed rankings, are a poison and it's best if you part ways as soon as possible. Backlinks might be the backbone of SEO success and you might want to rush backlink building but this doesn't help. As I mentioned, you need lots of patience and time. This applies to link building as well. You build them slow, even better at a constant pace rather than in a rush over the weekend. This is another valuable lesson &dash; a single quality backlink from a reputable, relevant, high-ranking site does more than hundreds of crappy links. This was so even before the Panda update but after it crappy links not only lost value completely, they became toxic. SEO isn't witchcraft and even with black hat techniques (that are to be avoided for sure), you can't push a product/service that is not good - or at least these good rankings won't last. Even if you manage to get traffic and some conversions, imagine the negative publicity angry users will give you over the Internet. So, if you or your clients want to do SEO for a crappy product, just say no. This is repeated all the time because it is so true. If you don't have good content, you are just wasting your time and money. Period. When I started with SEO a decade ago, meta tags were much more important than they are today. However, they are still not totally deprecated, especially the <title> tag, so you could fill them &dash; just in case. SEO hasn't changed that much in a decade &dash; it's all about keywords, or more precisely, about the wrong and right keywords. This is why keyword research is very, very important. If you do it wrong, all your subsequent efforts are doomed. You need to identify the right keywords and optimize for them, not for some keywords that sound great but have no conversions. 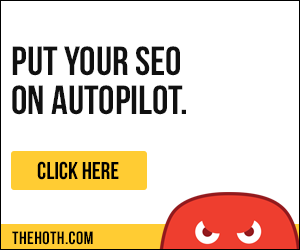 SEO is all about the tools &dash; without them you are stuck in the middle of nowhere. If you don't have the right tools, you get wrong feedback and this is tragic. Here at Webconfs we have gathered lots of useful tools most of which we use almost daily, so check them. Long gone are the days when you could launch a 20 page niche site and make hundreds of dollars a month from it but still niche sites do much better than general interest sites. So, if you have 10 niches you want to cover, start 10 separate sites instead of throwing all the content in one single site. SEO is very dynamic. You need to be fast, or you are dead. This is especially true when major algorithm changes kick in because if you don't act quickly, you see how your rankings drop in a blink of an eye. SEO is very powerful for driving traffic, yet you can't rely on it alone &dash; you need PPC, social promotions, etc. as well. It's this combination that can help you achieve real success and make the most money from your site. Old domain names with keywords in them or in the URL do help but they can't save you, when you don't have good content and quality backlinks. When you don't know how you are performing, everything you do is a shot in the dark. This is why you always need to monitor your performance, measure the results, and get rid of sites/projects/keywords that underperform too much. Bounce rates are not directly related to SEO but when users leave your site shortly after they have landed, this is a symptom they don't find what they want. These are lost sales and they are costing you money, so try to improve your bounce rates before you do any other changes to your site and SEO strategy. Long tail keywords are sweet because there is substantially less competition for them and higher rankings are easier to achieve. Maybe you won't get that much traffic with long tail keywords but in terms of ROI they beat popular keywords that are so hard to rank well for. Do I need to say why? Google isn't stupid and all the cheap tricks black hatters do are not hard to catch (and punish). Don't become a SEO criminal! Google might have the lion's share but some other search engines, such as Bing, or Baidu (if you target Chinese traffic) could bring the lion's share of your traffic. The other search engines are less competitive and you can get good rankings with them with a fraction of the effort you need to rank well with Google. Keywords in strategic places and quality backlinks are the centerpiece of SEO but there are many other tactics as well. Even if you see results from your present SEO tactics, always try to diversify. For instance, you might want to add social promotion to the mix. This one was learned the hard way. Yes, SEO success needs time and patience but when it is obvious from the start something is not working, the best you can do is drop losers fast. This applies to projects and clients as well. It makes no sense to spend years on something that might work &dash; it's either working or not &dash; the more you wait, the more you lose, so terminate a loser project asap. This is another very, very, very important lesson. Nowadays hosting is cheap, so there is no excuse to put up with an unreliable provider. When your host is frequently down, bots can't crawl your site, and what's worse, when users click on your result in search rankings, they are taken nowhere. As a result, the monetary and image losses are colossal. Good rankings might boost your ego but this doesn't count, if you don't enjoy good conversions, and a decent ROI. After all, it's the money we make from a site that counts, right? This applies to many areas of life but it is especially true with SEO where things change pretty fast. If you want to stay afloat, you will need to always learn new and/or better ways to do old stuff. SEO is powerful but when you use it in conjunction with marketing, Web design and Web development, this helps you get the big picture. Nobody says you need to become a world-famous marketer, designer, or developer but you do need to have at least a basic understanding of these three areas. SEO is not a lonely wolf field. You need to work closely with writers, designers, developers, product managers, etc. Or you can do all this stuff on your own but it takes so much time that you'd better hire a pro. Redirects and 404 errors are frequently forgotten about but they can do you a lot of harm, if misused. Take the time to check that redirects and 404 errors are handled as they should be. You do need to learn from the best but this doesn't mean you should follow advice from SEO gurus blindly. Even if they are not trying to mislead you (because unfortunately I've caught some famous SEOers trying to do it) the fact that something works for them doesn't mean it will work for you as well. So think on your own before you do something important. Your competition is one of your best teachers. Just analyze what they do and you will learn. For instance, if you perform a backling analysis, you can quickly identify some good sites in your niche where you could get backlinks from. When I say to monitor and measure everything, this doesn't mean you should lose your mind over metrics. Numbers give direction but don't let them lead you through life. Page Rank, or your other rankings are just numbers and it makes no sense to get obsessed with them. If you PR is good, OK but if it isn't don't become suicidal. ROI is more important than PR, so if your ROI is still fine, everything is fine. An ecommerce site is very different from a magazine site and from a corporate site. You do need to take all these differences in account and use different SEO strategies. Even if you are a small company, you can still get better rankings than the big guys. And no, you don't need their budget in order to outrank them &dash; good content and SEO skills are all it takes. No matter how good your rankings are, there is always room for improvement. For instance, if you are ranking well for a given keyword, you can try to achieve this for some related keywords you currently are not very good at. SEO is addictive, especially when you see results. However, when you become a slave to work, this is not good. You need to get life and know when to stop. This is not only good for your health but it will make you more productive, so always plan days away from the computer. <alt> tags are sometimes overlooked and left empty but they also count, especially for sites with images, such as ecommerce sites or image galleries. If your competitors have left their <alt> tags empty and you have filled them diligently, this gives you an enormous advantage. My first 10 years in SEO have proven pretty successful though if I knew all the stuff I know now, it would have been much easier. To make it easier for you, I decided to share some of my knowledge, so that you don't make the same mistakes I made.